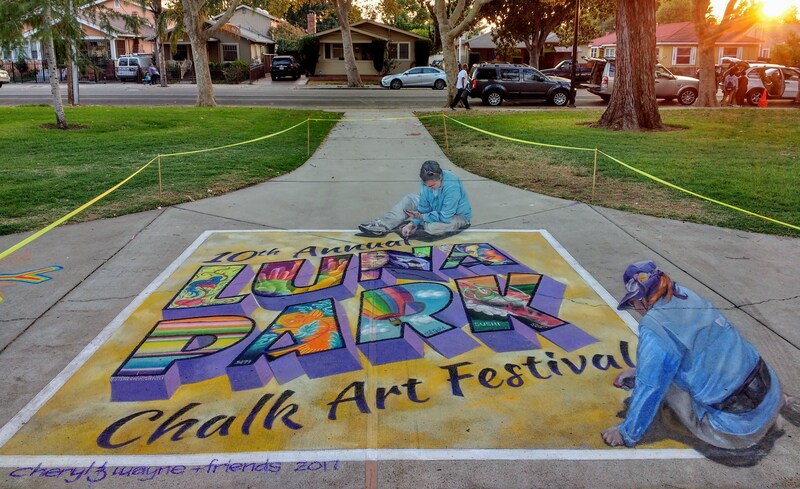 The foundation hosts workshops, demonstrations and interactive chalk areas at local events and schools throughout the year. Visit our calendar and news pages for upcoming events and activities. Chalk Art at Gymnastics City/U.S. 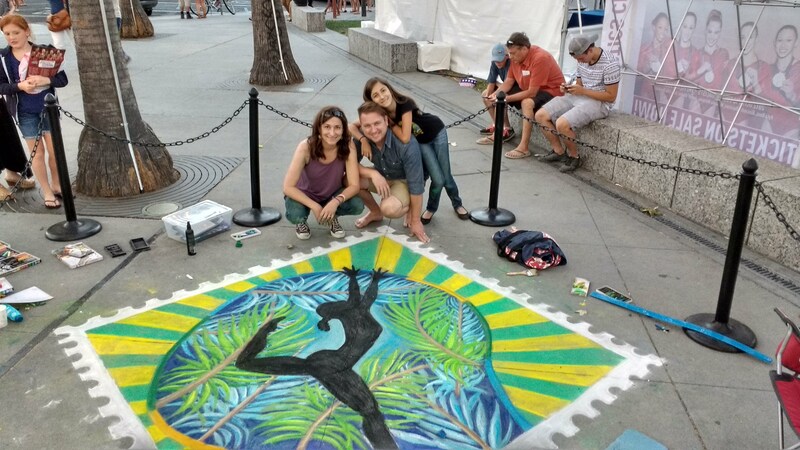 Women's Gymnastics Olympic Trials - 2016 July 8-10, 2016, the Luna Park Arts Foundation hosted an interactive chalk art mural at the Gymnastics City festival, located at Arena Green outside of the U.S. Women's Gymnastics Olympic Trials. 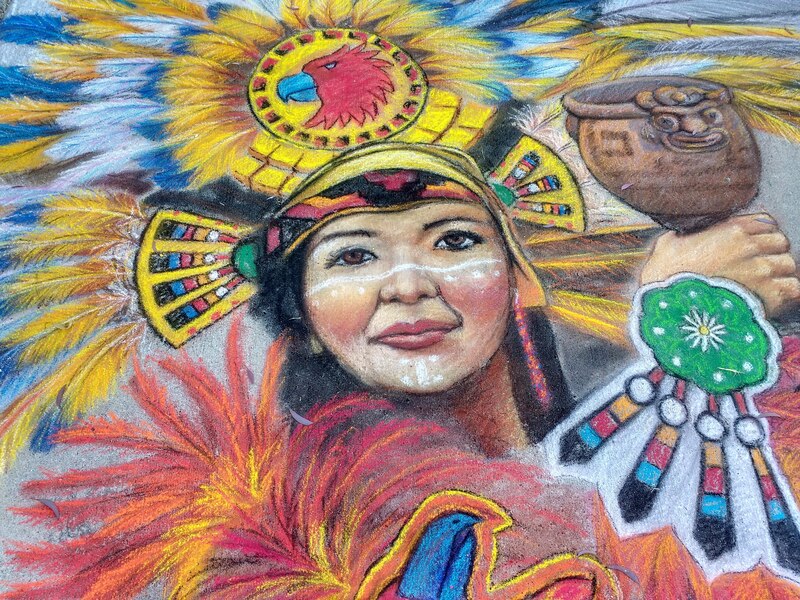 The mural incorporated 2 sections: a commissioned professional-level chalk work by local artist Kyra Kazantzis; and, surrounding her mural, a large-scale coloring book style mural that festival attendees colored in. The completed mural stretched 10' tall by 40' wide and remained at the park the entire week.See the photo gallery.